The project consisted of the design and construction of a new 4,000 metre squared warehouse extension for London based property developer, Maybrook Properties, at the Pirelli Tyres factory site in Carlisle, following the successful construction of the existing 16,000 metres squared Pirelli Tyre warehouse by Story Contracting. Following the successful construction of the existing 16,000 metres squared Pirelli Tyre Warehouse over a decade ago, Story Contracting were awarded the contract for the new 4,000m2 extension following a negotiated tender process. 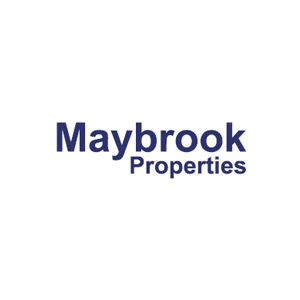 Working for London based property developers Maybrook Properties, who own the building, Story Contracting were fully responsible for the design and construction of the building from commencement through to completion. Prior to the commencement on site, a detailed design process was undertaken aiming to ensure that the warehouse design was perfectly tailored to the requirements of the final user, Pirelli UK. Story employed a design team to deliver the project including a structural engineer and architect as well as a specialist sprinkler consultant. The sprinkler installation was a key specification to the end client and was designed and constructed to meet with FM Global approval. Following the successful approval of the design from all parties involved the construction phase of the project commenced in Spring 2014. Works began with the site strip and bulk excavation before moving on to the construction of the foundations which included some considerably sized and reinforced concrete pad foundations given the close proximity of the adjoining site boundary. Throughout the project fortnightly meetings were held with the employer’s agent SBH and Pirelli to discuss progress on site and to ensure all elements of the design fully met with Pirelli’s requirements. This process coupled with the ongoing discussions between stakeholders enabled open communications and assisted and ensured a good relationship between the project and the operating factory. Story Contracting procured and managed all elements of the construction including packages such as the steel frame and cladding, concrete floor slab through to a syphonic drainage system and dock leveller installation. The project was delivered on time, to the desired quality and within the clients budgetary constraints and has provided Pirelli with a functional new facility to enable them to improve their ongoing operations at the Carlisle factory. The project was completed for a happy client and cemented an excellent working relationship with the client Maybrook and the end user Pirelli UK. I found the Story team a treat to work with. On the handover day it was impossible to tell this had been a building site. The Story Team helped to make the job easy, I can't say that for all contractors. To find out more about the services we can provide contact Gareth Jones on 01228 590444.